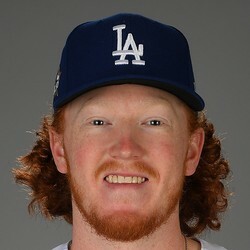 Dustin May allowed one run on three hits over three innings of work as the Cubs and Dodgers played to a 4-4 tie on Wednesday. May struck out three and walked one. The 21-year-old is considered one of the Dodgers' best prospects and should get a chance to debut at some point this summer. He's interesting enough to consider streaming whenever he gets the call.